"What's the harm in trying?" There were so many answers I could have made to that that I actually froze for a moment, trying to decide which apocalyptic vision would be most fitting. 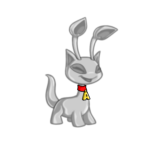 As I contemplated the zombie attack from earlier, it occurred to me later that many Neopians and innocent pets could be in danger should they run into a vengeful zombie, as the difference between bitter and blissful is not exactly... well... obvious. I created this simple scenario and some possible solutions to help keep you, or your pets protected. 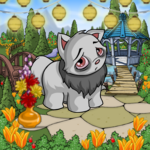 Ahem; A zombie is headed straight for you and your Neopets! What do you do?! "The National Neopian Bank." The yellow Eyrie grinned up at the massive white pillars marking the entrance to Neopia's largest, most luxurious, most secure – and, well, only – bank. His grey eyes glinting with mischief, he turned to face the two blue Lupes standing to his left. "It's the home of billions of neopoints. Billions!" "Don't," Kim says, kicking open the door, "mess with this family."